The blend: 65% Pinot Noir, 30% Chardonnay, 5% Pinot Meunier. First press juice of mainly Grand and Premier Crus grapes the heart of the Champagne wine-growing area. 20 to 30% of reserve wines are aged in wooden barrels using the solera system to incorporate older wines without losing freshness. Vinification: vinified using traditional methods to avoid premature oxidation. Partial malolactic fermentation and reserve wines aged in casks to allow the aromas to develop complexity. Moderate dosage (8 g/litre) to maintain a balance between freshness, fruitiness and vinosity without masking the wine's character and purity. Aging: Aged on the lees in the House's cellars at a constant temperature of 12°C for three years, far longer than the legal minimum requirement of 15 months. 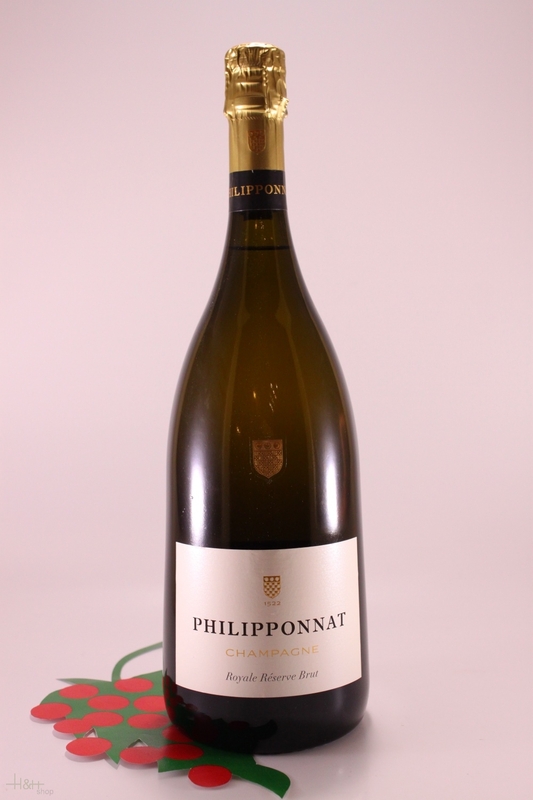 With the mouth: Fine vinous attack on the palate, fruity (redcurrant, raspberry, ripe grape) and full- bodied, generous and long. Light notes of biscuit and freshly baked bread on the finish. Pairing as an aperitif, served chilled but not ice-cold (8°C). enhances hot or cold white meats, poultry and premium charcuterie. An ideal complement to cold buffets, fish and seafood. 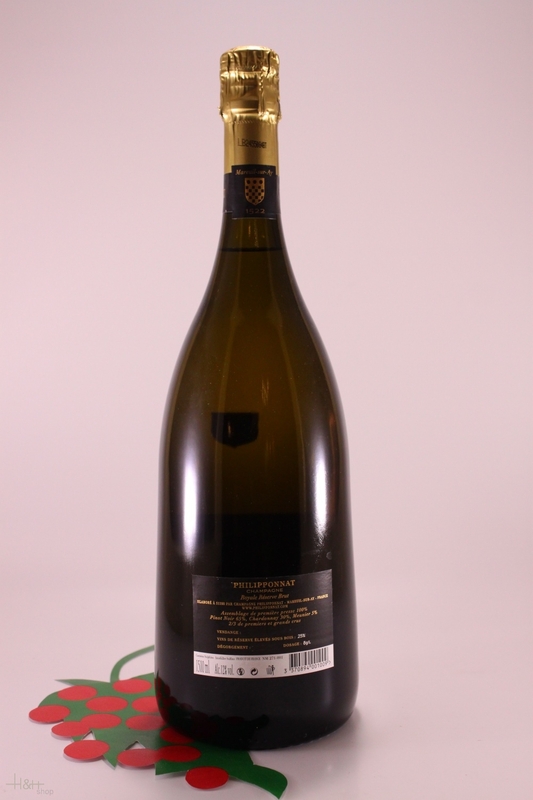 Storing: Royale Réserve Brut will maintain its balance and liveliness for about two years stored in a cool dark cellar. It will then develop for a further five years at least towards greater complexity and roundness.